When Fyrinnae released their 50’s Retro Collection, I was logging in to order within minutes! Well maybe within the hour LOL but I had to get me some. I got my order on Monday and I couldn’t wait to start playing with my shadows. 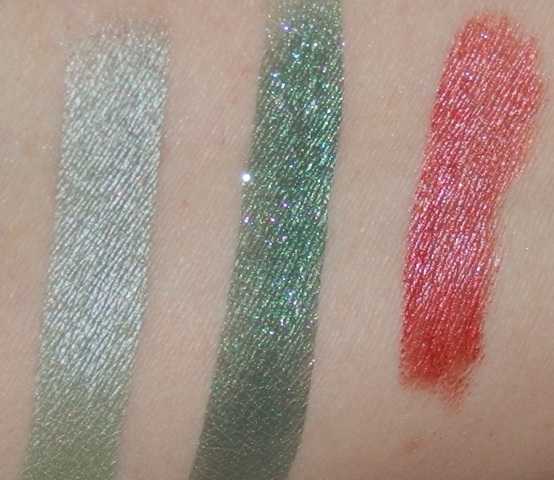 I have to say I was in a pretty happy mood when I was swatching these shadows. For ‘neutrals’ they are anything but ordinary! A soft deep matte brown. This is a beautiful neutral dark brown. Perfect for the crease. 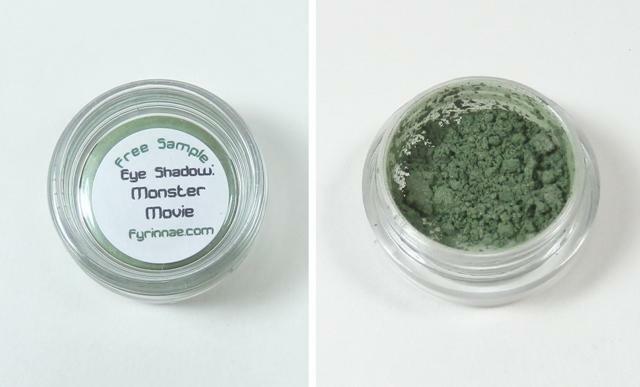 A light sage green with slight shimmer. Even though this looks a little mossy in the jar it is anything but! It turns a pretty sage-y mint green. A subtle champagne shimmer. I swatched this like a shadow. 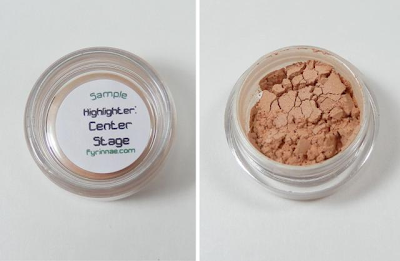 On the top portion, I swatched it over Pixie Epoxy to see how it would look as an eye shadow and on the bottom over bare skin to show how it would look as a highlighter. As I was swatching, I forgot to go light on the bottom half HAHA I was just so excited. My last mini lasted so long. 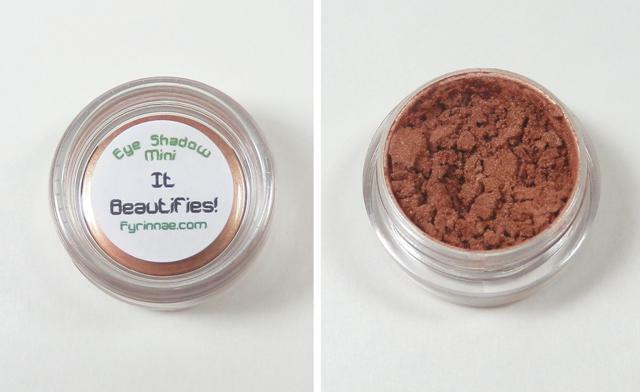 I truly love this for loose shadows and even for making any shadow pop. There is some magic in there that that just takes an ordinary shadow and makes it awesome. And I had to get another Type A lip lustre. I just love this lustre. 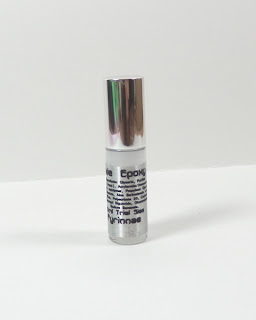 I did a previous review here of the Lip Lustres. Now I want to get Glamorous Rebel, Ocelot and Pygmy Hippo lip lustres. I cannot wait to use these! I am going to try to do a FOTD with these soon. 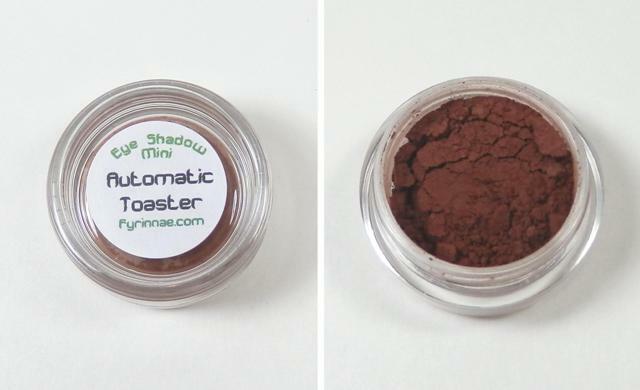 Which shadow do you like the most? 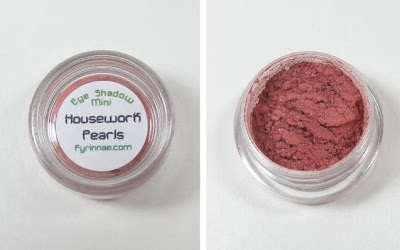 Fyrinnae loose shadows retail for $2.25 mini $6.25 full size. 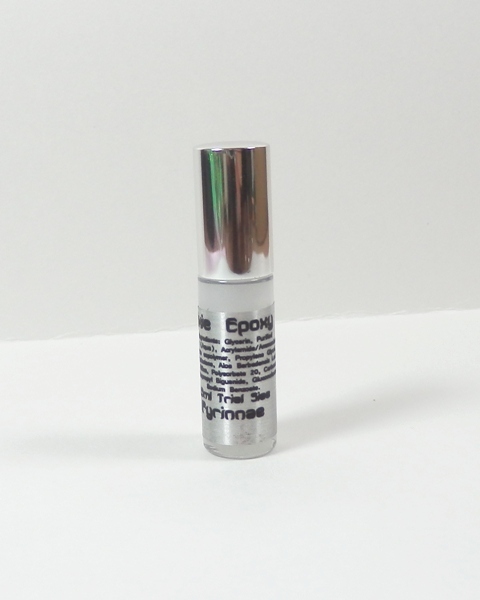 Lip Lustres are $2.00 mini (1.5 ml) and $7.00 for full size (8ml). wow your swatches are neat! Thanks :D I use tape to get straight edges. Fyrinnae pricing is quite reasonable and you're right, these colours are anything but what I would consider regular Joe neutrals! The prices are really great! I am in love with It Beautifies. 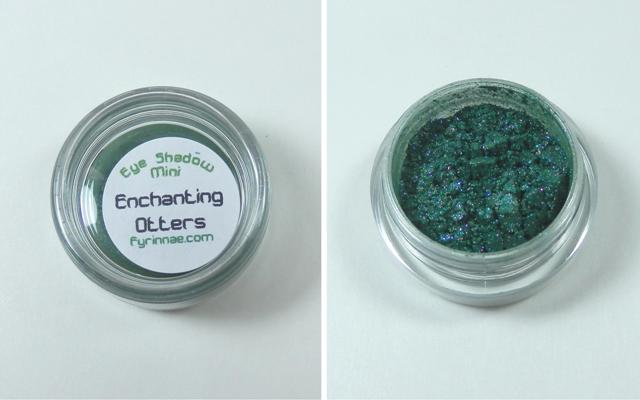 I love Fyrinnae's colors. The emerald green (Enchanting Otters) is from another collection but I wanted to try something outside my comfort zone :P.